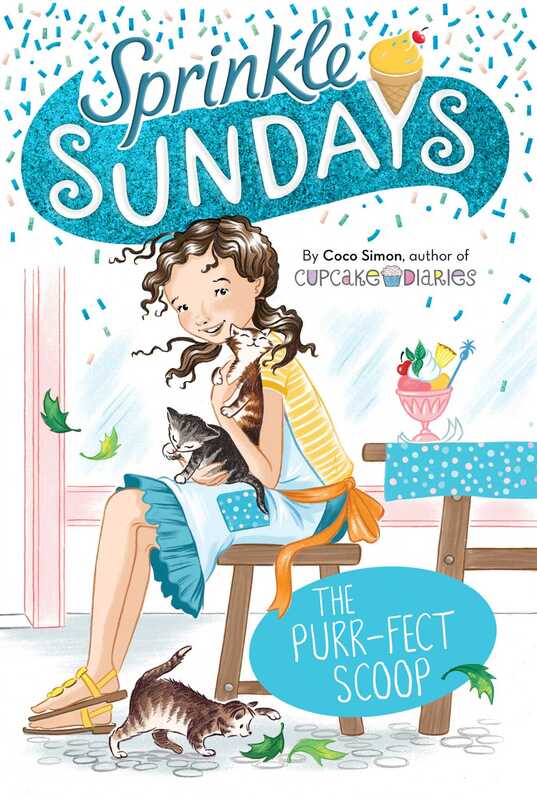 Sierra tries to find a way to balance all of the activities in her life in this third delicious book in the Sprinkle Sundays series from the author of the Cupcake Diaries series! Sierra does lots of things. She’s captain of the softball team, the director of the school play, and she’s on Student Council, but her favorite thing to do is work at the ice cream shop with her best friends Tamiko and Allie. But when her parents decide to foster three kittens and their mama, Sierra’s life gets a lot more catty! Can Sierra do it all—and maybe find homes for the cats, too?